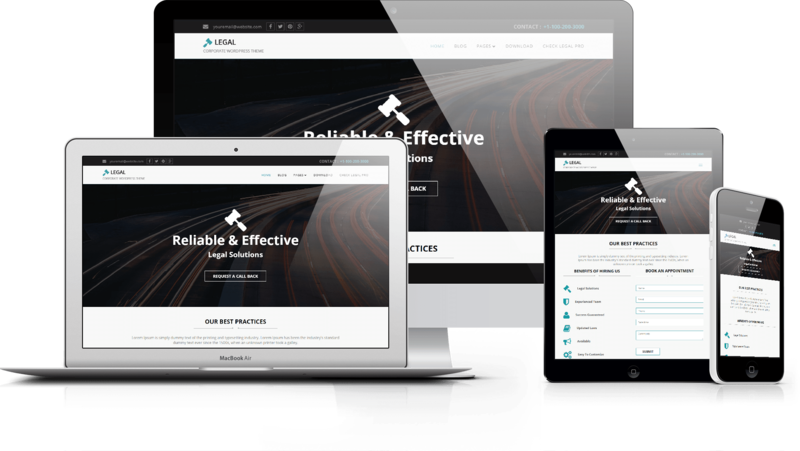 Legal is clean, super flexible , fast in loading and bootstrap based responsive theme for business or personal websites. 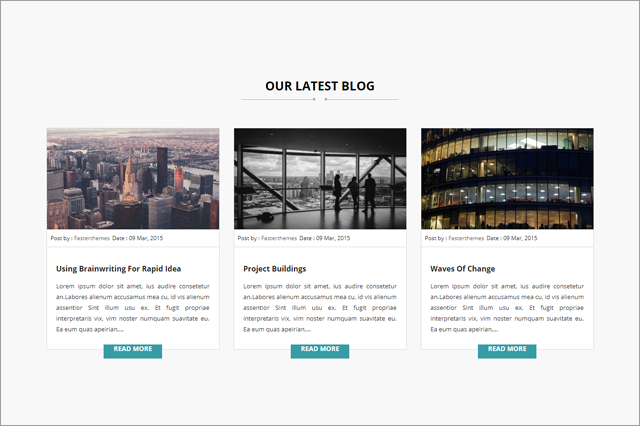 Legal Theme was developed specially for Advocates or Attorneys in mind. But this can be used for any business. Service features section to showcase your features or services and Book an Appointment section. 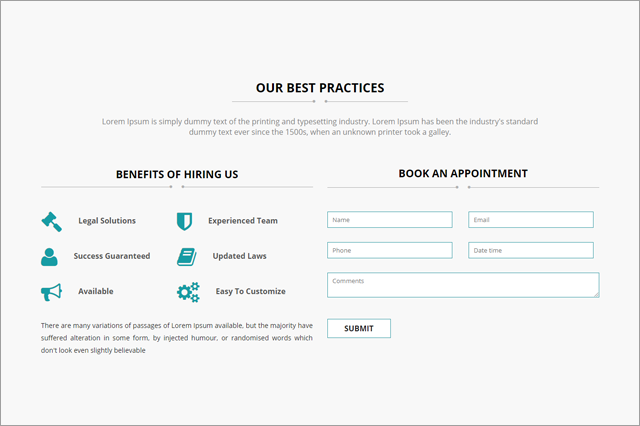 Legal theme is easily manageable by customizer options. Step by step documentation and dummy data is available so that you can quickly deploy your website like the Legal theme demo. Legal is 100% mobile responsive so it looks awesome in desktops, laptops, ipads, and mobile screens.